Sometimes symptoms for seasonal allergies will overlap with food allergies or other environmental allergies so diagnosis may be difficult and is best managed by a veterinarian who can prescribe medication if necessary. Diet can help treat allergies such as feeding your dog Omega 3 fatty acids, and yucca for cats and dogs. To treat itching or skin conditions due to allergies, make sure to wipe your pet’s paws after walking outside, and use shampoos that contain pet friendly moisturizers or soothing emollients. Antihistamines are effective in only 20 percent of pets, and you should consult your veterinarian before administering any medication to your dog or cat. 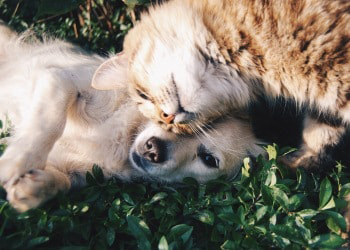 Enjoy the spring with healthy pets, not sneezing pets.